Big Screen, Little Screen was a talk curated as part of the many events taking place for Jewish History Month. The event was comprised into two separate parts. The first speaker, Rachel Lichtenstein, explored the experimental film-maker Robert Vas and his short films which recalled Jewish life in Whitechapel, part of London’s East End. The second speaker was P.h.D student Rachel Taube who built on the theme of Jewish TV by exploring the founders of Granada television, Sydney and Cecil Bernstein, who played a pivotal role in British society through visual media. The largely mature audience indicated a keen interest in viewing the works of Robert Vas. A sense of enthusiasm for Vas came across as some members of the audience had made a special trip for the discussion due to some relationship with the man himself. But who was Robert Vas? Born and raised in Nazi-occupied Hungary, Vas arrived in Britain as a refugee. It was in Britain that he was driven by the aim to preserve Jewish history and communities through film and media. The first of his funded works was called ‘The Vanishing Street’ in 1962 which captures the hustle and bustle of Jewish life on Hessel Street, the last surviving Jewish market area in Britain. Vas’ short film was immersive to say the least, despite there being little clear dialogue between people. I’d argue, however, that this was what made the film so evocative of real life. The sounds that echoed through the speakers picked up on street life; the sound of feet tapping on pavements and gossiping grannies. Although the individual market goers went about their own business, a sense of pride and cohesion was certainly communicated through their shared Jewish identity. One part of the film showed young school boys reciting Torah at the synagogue which struck a chord with one audience member, who joined in unison with the truly endearing school boys from the short film. 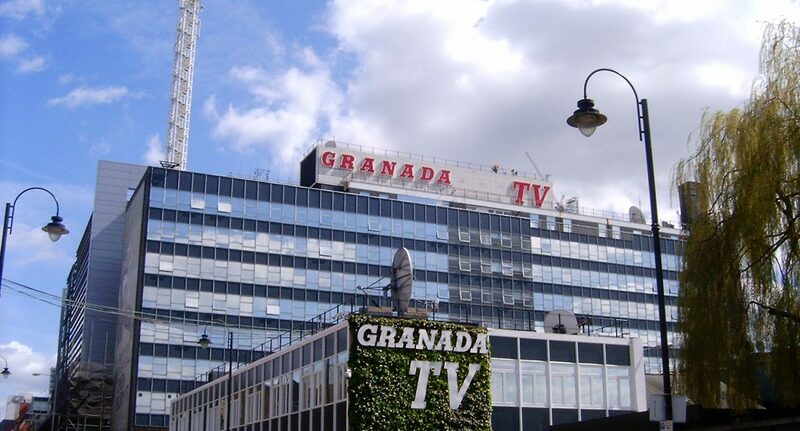 Taube’s talk discussed television shows such as ‘World in Action’ and ‘Coronation Street’ which were designed by Granada Television. The Bernstein brothers, although raised religiously Jewish, made a personal move away from practising their families faith; although they were not affiliated religiously with Judaism, Taube communicated the role Judaism played in Sydney and Cecil Bernstein’s running of Granada Televisions. It was highlighted that Judaism is far more versatile than its common association with religion. Indeed, it was through the importance of family and togetherness that Granada Televisions functioned in such a holistic manner. The showing of Big Screen, Little Screen was timely, especially given the recent hostility of many universities across the country towards funding Jewish societies. As disconcerting as this may feel, given the fact that universities are supposed to educate and enable personal and group development, universities also facilitate a deep understanding of minority groups. In an age in which communities of people who have resided in this country for generations may feel threatened in their place of residence, it is up to us all to engage with the people who have contributed so positively to society by attending discussions such as these. More information on Jewish History Month can be accessed on their website.